Keeping your family safe in your home is a top priority for most people. 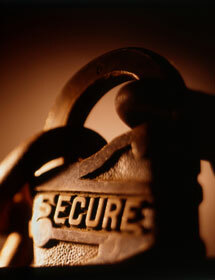 Providing the best security includes utilizing a number of security methods. You can install a home security camera system, and fortify the windows and doors. You will find a variety of home security companies located in the West Palm Beach area. Choosing the best security camera company in West Palm Beach depends on your home security plan. The first step in protecting your home is to determine the level of security you want. You will find some home security companies offer to come out to your home and perform a security audit. A security audit is completed by a security professional. The security professional knows what to look for when it comes to protecting your property. If you are not sure what kind of security you need, then you should have a security audit performed. You will receive professional recommendations about security equipment that offers the latest technology. If you choose to hire a security company to monitor your security system, you have several choices in the West Palm Beach area. A monitored security system can give you peace of mind. The system includes a keypad, indoor and outdoor sirens and security sensors for your home’s windows and doors. You can also enter a unique code that tells the security company that you are being ambushed. They also alert the nearest law enforcement agency on your behalf. Most security systems operate with a secure backup battery in order to prevent tampering or loss of power. If you have small children in the home, you can choose monitoring services that are designed to give you peace of mind. This is especially helpful if your children are being cared for by others. There are also companies that will create a custom security plan that meets your unique security needs. Home security also includes making sure the doors and windows are secure. An audible alarm will sound if the sensors are tripped. The windows and doors are an intruders favorite target. It is important to secure these areas. You must look at your home’s security through the eyes of a potential intruder. Intruders are experienced and want to enter and leave your home as quickly as possible. You must make it difficult to enter your home even if you have a security alarm. Many people have security systems and do not enable them. You should arm your security system at all times even if you are at home. There are security devices you can place on the inside of entry doors that prevent an intruder from kicking in the door. Intruders often enter the home through a garage or back door that is not solid. These doors are easily kicked in with a couple of swift kicks. Think about the entry points of your home from an intruder’s perspective. When you combine a number of security methods as your security plan, you will decrease your chance of being a victim of crime. No system is completely safe, but you will go a long way in preventing home intrusion. Motion detecting sensors are a great way to increase the security of your home. They can be programmed by weight or size in order to reduce the number of false alarms. For example, if you have a pet that weighs 50 lbs., then you can program the sensor to ignore any object that weighs under 50 lbs. Dogs are another layer of security that can prevent your home from being invaded. Intruders do not like the sound of a barking dog, whether it is a large or small dog. In fact, small dogs are often loud and bark nonstop. Intruders will likely choose a home that does not have a barking dog. It is the accumulation of various security methods that will reduce your risk of home invasion. Outdoor motion detectors are also a good crime deterrent. Intruders like the protection of darkness. If you have motion detecting lights, then you will be able to see anyone that steps onto your property at night. There are also driveway alarms and outdoor security cameras that will improve your home’s security. You should never leave a spare key anywhere near the entry points into your home. Intruders will often check these areas first. The garage is also a favorite entry point for intruders. The reason for this is simple. Once inside your garage, they are hidden from view. If you have a flimsy door that leads from the garage into your home, then the intruder can easily break in. They can also find tools in your garage to help them. There are a lot of people who do not even lock this door. An audible alarm will not guarantee the intruder will leave. They have learned to work fast, and may decide your home has enough valuables to make the risk worthwhile. An intruder will often watch a home for several days before deciding to break in. The intruder is looking for predictable patterns of coming and going. Always be aware of your surroundings when entering or leaving your home. They may decide to park down the street and walk through your neighborhood looking for an easy target. Establishing a relationship with your neighbors is a great way to reduce crime. Neighborhood crime watches are an effective deterrent that requires being alert to unfamiliar vehicles or people. If you do not have a neighborhood crime watch, you can call your local law enforcement office to find out how to establish one. Most law enforcement offices also offer educational crime watch meetings. Attending these meetings will keep you informed of local criminal activity. If you must leave your home for an extended amount of time, be sure your neighbors are aware. Most neighbors are happy to watch your home and you can offer to do the same. West Palm Beach offers a number of security companies that can take care of your security needs. They can answer any questions you may have about your personal situation. Learning about the different home security methods helps you to choose the right equipment. If you have a loved one that requires home medical attention, medical alerts are a great way to summon help during a medical emergency. Most security systems include a panic button that can be used during a crisis. You can also have your home monitored with wireless video surveillance equipment. Technology advances have improved the way these systems are monitored. You can now monitor a home security system from an Internet connection anywhere in the world. They can also be monitored using a smartphone, laptop or any electronic device with Internet capabilities. 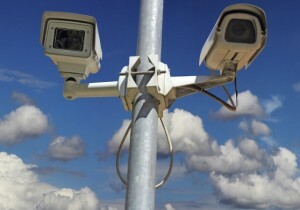 These security camera systems can be used both indoors and out. You will find these systems inexpensive and dependable. Contact a professional security company for advice about your unique situation. A professional can guide you when selecting home security equipment. You will find security remotes that allow you to program your lights, garage doors and appliances. Programming your lights are a good crime deterrent if you are away from home for extended periods of time. If you decide to monitor your security system on your own, you can buy security stickers to place on your windows and doors. This can alert an intruder to the presence of a security system. 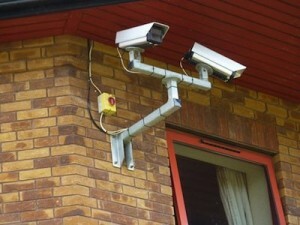 Home security surveillance cameras located near the entry points can also deter an intruder. Be sure to purchase a backup battery for your home security system. The backup battery will allow the alarm system to be uninterrupted in case you lose power. Carbon monoxide and smoke detectors should be a part of your security plan. Carbon monoxide poisoning is a threat because it offers no symptoms. You are not able to smell or detect carbon monoxide, and its presence can be fatal. Half of all the household fires that occur do so at night. A smoke or fire detector system is also an important part of your security plan. Be sure all family members know what to do in case of fire. You can hold practice fire drills with your entire family. Make a fire escape plan and be sure everyone knows the safest exits. You can plan to meet family members outside if their bedrooms are located on the opposite side of the home. It is important to be prepared for any emergency. Discuss your security plan with every member of the home. If you install a security system in your home, most home insurance companies will offer you a discount. Call your insurance agent to find out if you are eligible. When you make plans to go on vacation, be sure to leave your home looking like someone is at home. This can be accomplished with automatic timers for your lights, drapes and televisions. Leave a spare key to your home with a trusted neighbor. Your neighbor can also open and close blinds, drapes and adjust lights. Developing a good home security system requires planning and understanding good security practices.